Beyond the sky and stretching across our imagination, is a world governed by a code. The language of this code is absolutely accurate and scientifically precise. It shapes the components of infinity and provides us with the ability to shape our thoughts and dreams. The code is three: plan, section and elevation. Together, these two-dimensional devices provide the narrative of the unknown. A scale drawing allows an object (or idea) to be shown on a piece of paper. An ancient craft, contemporary design professions use this type of drawing to represent the final product, space or building. It is much easier to handle a sheet of paper that is 24"x36" than to handle a sheet of paper that is the exact size of the building or object it represents. Represent your world. Conquer 2 dimensional representation. Activity 1 – reveal that which is concealed! 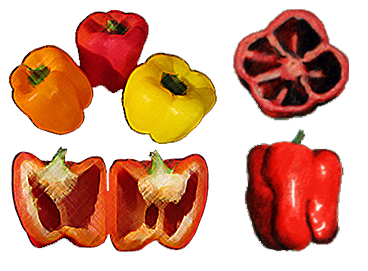 Use two bell peppers to investigate the design of an object. Structurally, the bell pepper has similarities to the structure of a home. When cut in half horizontally the bell pepper exposes the plan of the outer skin. This is similar to the walls of your home. When cut down the middle vertically, you make a section through the pepper. Now look at the side(s) of the pepper. That is the elevation. Draw the three viewpoints. First dip the pepper pieces in paint and press onto plain paper. Next, draw the plan, section and elevation of the pepper. Experiment with other fruits and vegetables, always distinguishing the wall or skin of the fruit from its interior view and material. Use plan, section and elevation to notate a scale drawing of a favorite chair. Print the 1" x 1" grid paper. Use the scale of 3 inches on the paper equals 1 foot of the full size. Title your drawing, Views of a Chair. Write on the top right of the paper: Scale: 3"=1’-0". Measure a chair making sketches in your journal of its height, width, length,etc. Measure sizes of all of its parts. 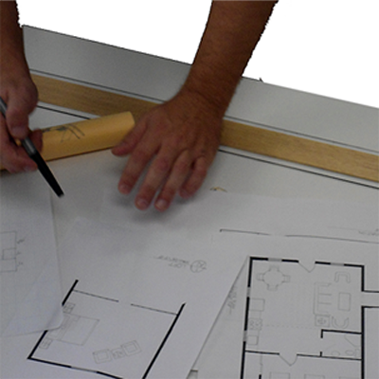 Using gridded paper or an architectural scale, create a drawing of the plan, section and elevation of the chair. Compare your plan and elevation with the actual chair. Are the proportions the same? Do the parts look like they belong to the whole? Drawing the section requires cutting through the chair in your mind’s eye. Are the legs of the chair solid or hollow? Is there upholstery on the chair or padding? Try to understand the dimensions. Your section can be drawn over your elevation. Show the parts that you cut through as solid , dark thicknesses. 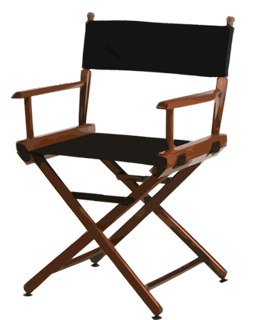 Submit your simultaneous views of your chair! Where are there lighthouses near your town or school? Is there one on a river or a lakefront? Light houses have served as beacons to travelers for centuries and still beam a bright welcome or warning to boats approaching on the water. Can you find and draw lighthouse plans, sections and elevations? In this activity you will research and analyze a 20th century house. Do research to find photographs, models, and drawings of a contemporary house. Then draw floor plans, elevations and sections of a 20th century contemporary house. Spend an hour or two looking at 20th century homes. Select from the list below (or find a modern house you would like to draw) and prepare a floor plan and elevation(s) to fit on one 11 x 17 vertical or horizontal paper. You will need drawing pencils (3 different lead weights), a straight edge, a triangle and scale. Watch Drawing a Floor Plan. In this activity, you will research a famous building online. Look for information about the plan, elevations and sections. Once you find them, look at how they are drawn. Often there are two or more line weights or thicknesses to show width of walls and structure. Just like the pepper, you can draw buildings as they appear in the front. But you can also draw buildings in plan. Plans show the arrangements and sizes of spaces. Plans also show how to get into and move through a building. Lastly, plans show us the structure of the building. Sections reveal interior volumes and shapes of those volumes. FInd a famous building and draw its plan, a section and an elevation. Record history and reveal the inner chambers of the past! The section cut is a ________ view of an object. There are ____ elevations of a typical building. 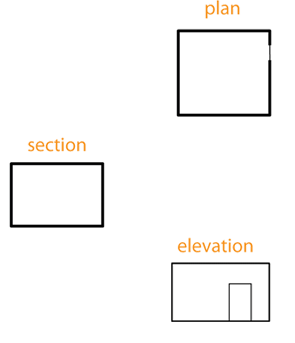 The floor plans of a building typically are a horizontal cut of the building _____ feet above the floor. Elevation drawings are exact representations of a building in reality. Plans, sections and elevations are used by construction workers and architects.